Finding a good gift for tweens is a tough job! Sometimes it feels like it always comes back around to one thing: video games. I don’t like giving video games as gifts, I guess I’m old fashioned? But here’s a twist on video games that has more appeal to me and to kids too. 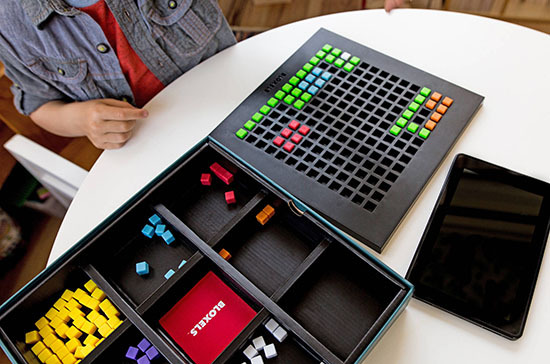 Bloxels helps you design your video game before you can play it and share it: no coding required. Combine physical with digital in this set, which includes a tactile game board and colored blocks to create the layouts and characters for your games. Snap pictures of the blocks with the Bloxels app, then begin creating. 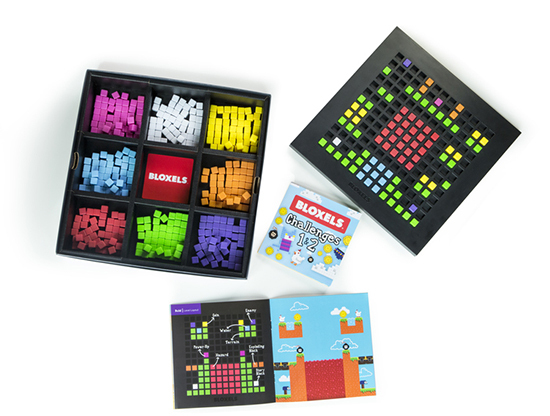 I love how it breaks the visual designs down into pixels, then you use the Bloxels system to convert those pixels back into an appealing game to play and share. Add this one to your Christmas lists!